In this age of massive consumer choice, nothing intimidates a shopper more than a fully-stocked toy store. Filled to bursting with enough colourful critters to stock a national zoo, more building bricks than it took to build the great pyramids, and a wider variety of dolls and miniature figurines than you’d find on a film set for Gulliver’s Travels, they are enough to frighten even the toughest mom. It was out of this understanding that the beautiful pop-up book, Aunty Planty and the Search for the Perfect Toy was born, as a means to showcase the new Prima Toys website and its innovative toy search function. Prima Toys is South Africa’s leading toy distributor, representing the world’s most loved brands and characters, and have been around for over half a century. In a bid to add its voice to the marketing drive in 2013, Prima Toys redesigned its website, with a one-click toy search at its centre. MACHINE, the award winning integrated agency, was tasked with launching the new website in a way that not only captured the imagination of the audience (both retail and public), but also showcased the many beautiful brands supplied by Prima Toys. The book was sent to existing and new retail customers, as well as a wide variety of mommy bloggers, who are widely regarded as one of the best sales tools money can buy. Aunty Planty is written in a style reminiscent of storytellers such as Dr Seuss and Roald Dahl, bringing to life a slightly batty old aunt and her pet fruit bat Little Ghost, who search oceans, jungles, African savannahs and even space for the perfect gift for her nephew Ted – only to end up using her computer, and the trusty Prima Toys toy search. An apparatus that would give them a clue. Perhaps this box would help our poor dame? Switched it on… and out popped a toy shop! 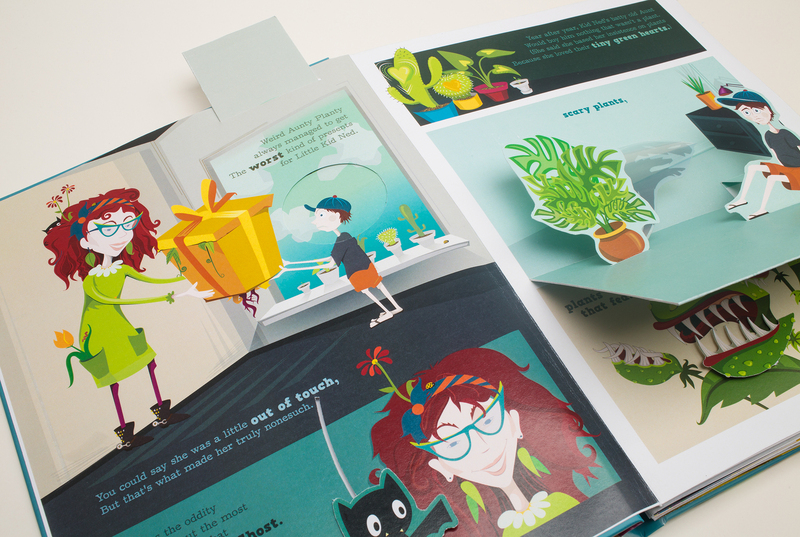 The book is beautifully illustrated, with toys showcased on the website being pulled through into the pages. 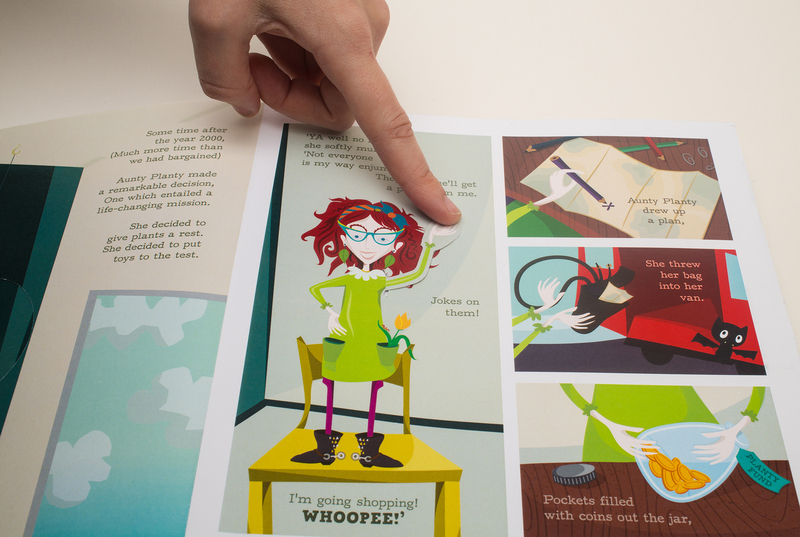 “The Pop Up book was a refreshing take on launching our new website. The clever design and intricate detail of the book assisted in communicating the new site’s toy search beautifully and we are thrilled with the results, says Prima Toys MD Wanda Ambrosini. “What better way to capture the imagination of a toystore audience, than through a children’s book?” concludes Bester. MACHINE is one of South Africa’s largest independent communications agencies with over 100 passionate employees offering a unique combination of award winning creativity, compelling consumer insights and leading digital capabilities. The agency strategically engages consumers using four key pillars of competency; Research and Strategy, Shopper marketing and Loyalty, Digital (including mobile) and ATL amplification. MACHINE has offices in Cape Town, and Johannesburg. Publicis Machine presents: The pretend-you-work-at-an-agency weekend! 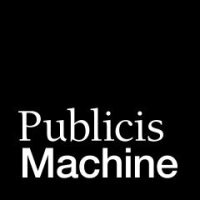 The team at Publicis Machine, SA’s leading integrated communications agency is fast earning a reputation for creating great television commercials that effectively interpret the client brief, while resonating with consumers. Publicis Machine scooped a coveted D&AD Pencil Award for its Play-Doh ‘Cookies’ ad in the Poster category in the D&AD international creative awards for 2016 - one of only two Yellow and 11 Wood pencils to be won by South African agencies. The announcement was made at the awards ceremony in London, last Thursday evening (19 May 2016). Just one month following the much-talked-about acquisition and subsequent merger, digital powerhouse Publicis Machine has added two of the country’s top digital minds to bolster its already formidable team. Tasked with creating an innovative and engaging gift for the attendees of the annual Habari Media Tuongee symposium, Machine produced a bespoke gift box that was not only useful and beautiful but that also heightened anticipation surrounding the exclusive networking weekend. The country’s leading minds in digital judged Andy Gilder, MACHINE’s Head of Group Digital Strategy, South Africa’s Best Digital Strategist at the 2013 Bookmarks in Cape Town on Thursday night. The team at MACHINE is drinking a well-deserved toast to yet another victory, having won the Miller Genuine Draft BTL account in a competitive four way pitch. This sees MACHINE complete a trio of hot wins after snagging both the Nando’s digital account and integrated project work for Adidas. Machine, AdReview’s Breakthrough Agency of the Year 2013, can’t help but crow about its latest account win: Nando’s digital. Machine, AdReview’s Breakthrough Agency of the Year 2013, has hit the final quarter of 2013 running – having just won two projects from adidas South Africa in a competitive pitch. MACHINE, the 2013 Ad Review Breakthrough Agency of the Year, continues to grow from strength to strength, prompting an upstaffing to bolster the already formidable team in the Johannesburg office. The agency, which is only in its second year of operation, has grown by a whopping 42% this year. With a staff complement of 95 across Joburg and Cape Town, and clients including Miller Genuine Draft, Red Bull, Citroen and L’Oreal, the agency is already the country’s fourth biggest independent advertising agency – and getting bigger every day. Hot on the heels from their success at the AdReview awards, top integrated agency MACHINE has been awarded a prestigious Silver Design Lion at Cannes for their Marmite blogger campaign. Award winning agency MACHINE has launched their fully integrated Weet-Bix campaign which was created to get South African youth to reconnect with the trusted cereal brand. MACHINE recently launched this year’s ingenious Marmite Halloween tactical campaign, ‘Don’t be afraid of the Dark’, which encourages people to be brave and try the original dark stuff, because there really isn’t anything to be afraid of. Consumers are creatures of habit when buying food, a survey by Answered, the research arm of digital agency Machine has found. “Consumers typically have a brand repertoire when they shop as a means of ‘survival’, owning to the massive brand options available when browsing in-store,” says Adrian Hewlett, the agency’s CEO. They conducted an online poll last month to test the South African consumer’s relationship with food brands and advertising. Fels, who was previously Business Unit Director at 34 and responsible for handling SAB and Foodcorp, has strong experience in strategic brand management, and more recently extensive experience in core shopper marketing, consumer engagement and sales promotions. In his capacity as Deputy Managing Director, Fels will focus on driving the integration of the specialist business divisions within MACHINE, fostering the growth of the inherent strategic abilities and, in turn selling this turnkey solution to the agency’s existing and potential clients. Answered Insights, the online market research specialists, have launched a revolutionary mobile research tool giving marketers top line strategic insight into the emerging market. Machine’s Above-the-Line division, Big Wednesday, have been awarded a coveted Clio statue at the 2012 Clio Awards in New York, a global awards competition for advertising, design and communications. Big Wednesday, the ATL division within Machine, recently launched their viral Marmite campaign which immediately trended on Twitter SA and increased traffic to the website. McPherson, ex Ogilvy Cape Town Group Creative Head, has over 11 years of experience working across blue-chip brands such as Volkswagen, Kraft Foods, Castle, Carling Black Label, BP, and Castrol. He is the recipient of numerous prestigious local and international awards, including Loeries, One Show, Cannes, D&AD, Clios, Eagles, and Apex. Appletiser have appointed Machine as their official Below the Line agency. Machine will handle all BTL creative work, sales and trade promotions for the brand. Machine is an integrated below the line agency born out of digital thinking. With a strong focus on return on investment, Machine delivers powerful, integrated marketing solutions, partnered with first-rate creativity, helping build mere brands into super brands. Creature, the incentive and activation division; Big Wednesday, a full service above the line advertising agency; Domino, a digital agency with a lead in social media; and, Answered, the online market research division. Machine has offices in Cape Town, Durban, Johannesburg and Nairobi and is part of the Habari Group.